With the fanfare of Youth month now behind us, what remains and cannot be forgotten is the collective work necessary to address the systemic challenges facing South Africa’s youth everyday. A lack of access to education, unemployment, and a technical recession must be addressed by creating appropriate opportunities to help youths participate in the economy. Having recently reversed eight consecutive periods of negative growth due to persistent drought, and with a 22% GDP growth to show for it, the agricultural sector is demonstrating its ability to become a cornerstone of the country’s economy, even in depressed economic times. While sector players and policymakers alike have long recognised this potential, its translation into significant benefits for previously marginalised groups, like the youth, has been slow. The National Development Plan (NDP) provides a clear and overarching policy approach to agriculture that is being implemented across government and within the agricultural sector. As the primary economic activity in rural areas, agriculture has the potential to create close to 1-million jobs by 2030. However, the implementation of activities that will encourage and support more youth entering the agricultural sector hinges on the ability of sector players to fully understand the challenges and how best to respond to them. To this end, Land Bank recently concluded surveys to understand the perceptions and attitudes of the youth regarding the agricultural sector as well as the challenges faced by young people participating in the sector. With a mandate to promote social inclusivity within the agricultural sector, these insights are playing a critical role in allowing the Bank to customise its programmes to best support young people in agriculture. Some of the main challenges associated with the agricultural sector include a shortage of arable land, a lack of funding as well as industry information and statistics, climate change, and a lack of interest in the industry. To confirm these perceptions, the study interviewed key role players in agriculture and/or youth training and development, finding that the majority share the sentiments expressed by the youth in the primary survey. According to several role players interviewed, there is a general view amongst young people that agriculture is an industry for uneducated individuals who do not require proper training. As a result, educated youth tend to view agriculture as their last option, and instead focus their energy on finding employment in the corporate space. These findings confirm that there is much work to be done in re-positioning the agricultural sector to become more attractive to young people. The agricultural value chain has become far more integrated, accommodating a diverse array of transferable skills, knowledge and expertise. Technology continues to revolutionise the sector, with many farmers already implementing cutting-edge precision farming methods to enhance their yields and better manage farming processes. Farmers of the future will be using apps, drone technology and will require other innovative solutions to overcome age-old challenges. With the youth already predisposed to technology through the high penetration of smartphones in this country and increasing access to the internet, they are truly best placed to take advantage of these exciting opportunities within the industry. While these are not typically traditional ‘on the farm’ opportunities, we can still show the youth how traditional farming methods are becoming integrated with our digitised lives throughout the agricultural value chain to meet demand and supply. As such, our expanded strategic focus must incorporate secondary agriculture to align with current trends influencing the industry. 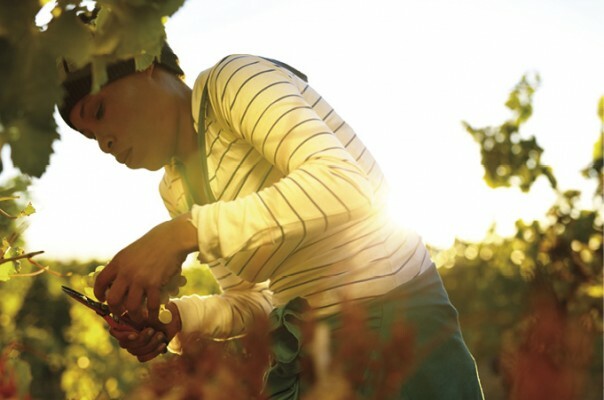 South Africa has some of the most successful commercial farmers and, at Land Bank, we are working to bridge the skills gap by bringing these farmers together with emerging farmers, and providing appropriate financing to ensure that they “graduate” to the commercial level. Our focus is to provide support to young individuals already involved in agriculture, since their success is likely to inspire other young people to get involved. Our collective interventions must dispel negative perceptions about the industry, and ensure that skills being attracted to the sector can be appropriately applied. This translates to ensuring that there is sufficient capacity to train young people wanting to participate in the sector, in both theory and in practice. At Land Bank, we are in the process of finalising a youth strategy, taking these key findings into consideration. We remain confident that, beyond the brief but important awareness Youth Month brings around the challenges facing our country’s youth, we will be able to work with role players in the agricultural sector to achieve real sustainable development impact amongst this group. Londiwe Thabethe is a Sector and Market Analyst within the Land Bank’s Strategy Division.